During the 2018 World Economic Forum, Trump threatened to cut Palestinian aid due to President Mahmoud Abbas’ refusal to meet with Vice President Mike Pence. Trump said Palestinians must be willing to cooperate “or we’re going to have nothing to do with them any longer”. If these persistent threats materialize and friction between the U.S. and Palestinian authorities heighten, this number is expected to severely decrease. As the largest donor to UNRWA since 2009 consistently, this reduced contribution by the U.S. may lead to “dire consequences”. In response to the U.S.’ reduced contribution to UNRWA, the European Union has pledged an additional €42.5 million ($52.9 million). This aid package includes €14.9 million ($18.5 million) allocated towards the preservation of the ‘Palestinian character of East Jerusalem’, and €27.5 million ($34.2 million) towards the creation of institutions to facilitate democracy and accountability within Palestine. In December 2017, Germany also provided additional contributions to UNRWA with an aid package of €23.1 million ($28.8 million). €18.1 million ($22.6 million) of this donation was designated to UNRWA’s reconstruction programme in Gaza, which aims to ensure the safe return of approximately 540 Palestinian families to their homes following total demolition during the Israel-Gaza conflict in 2014. UNRWA dedicated the remaining amount to the construction of two schools in the Gaza strip, providing education to 6,000 students. Olof Skoog, Sweden’s ambassador to the UN, raised his concern of regional instability and humanitarian crises due to the possible withdrawal of funding to UNRWA. In 2014, Sweden became the first Member State of the EU to declare recognition for Palestinian statehood. Although, according to the UNRWA donor charts, the United Kingdom has reduced its annual contribution to UNRWA since 2016, the country also warned against significant cutbacks in UNRWA funding, as it may lead to further instability in the region as well as military and strategic consequences. 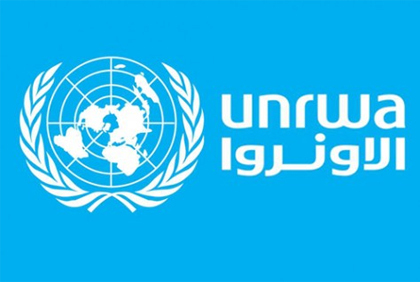 Following Donald Trump’s announcement to withhold funds to UNRWA, the UK consulate in Jerusalem issued a statement reinforcing its support for the UN agency. According to the UNRWA donor chart for 2017, Saudi Arabia is the largest Arab donor to UNRWA. The Kingdom has made generous donations through the Saudi Fund for Development, including a grant of $67 million for the implementation of projects in Gaza, the West Bank, and Jordan. $32 million of this amount will be allocated to the ‘reconstruction, furnishing, and equipping’ of health centers and schools in the West Bank. Japan has made a series of additional pledges to UNRWA throughout 2017, including a $28.4 million contribution in February. The donation aims to serve a range of UNRWA’s projects and services, including education, healthcare, and emergency operations. As many other state actors within the international community, Switzerland has raised concern regarding the humanitarian consequences of withholding funds to UNRWA. According to the Swiss Commissioner-General of UNRWA, Pierre Krähenbühl, “In financial terms, this is the most serious financial crisis ever in the history of this agency”. In order to meet the funding gap, Switzerland has provided its 2018 donation in advance along with Finland, Denmark, Sweden, Norway, Germany, and Belgium. Norway is among the seven countries that have already transferred its 2018 contributions to UNRWA in order to avoid potential reductions in funding and significant consequences. This donation amounts to 125 million Norwegian Krone ($16 million). Ine Eriksen Søreide, Norway’s Minister of Foreign Affairs, urged other states to follow their example and provide their contributions as soon as possible. The Dutch government also plans to join the group of states pledging to advance their contributions to UNRWA for 2018 in hindsight of the expected reduction in funding.